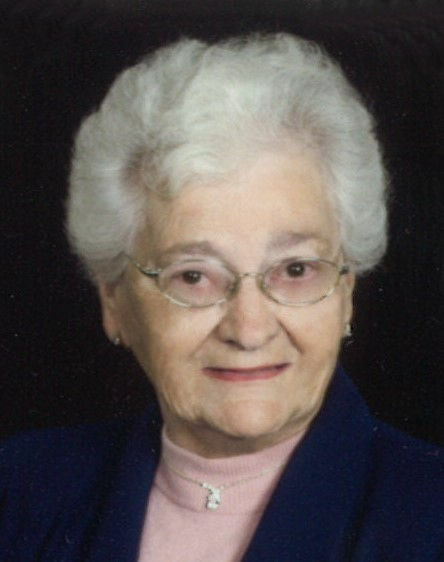 Lula Mae King, 94, of Peru passed away at 10:15pm on Wednesday, March 20, 2019 at Miller’s Merry Manor in Peru. She was born in Wabash County on May 20, 1924 to Frank E. Wise and Lulu Pearl (Johnson) Wise. She married Karl (Ernest) King on February 27, 1941 in Peru. They had six children: Karl E. King (deceased), Danny (Dianne) King of Pasadena, Texas, Edward (Jerry) (wife Ellen) King of Peru, Ronnie R. King (deceased), James J. King (Thelsa), Indianapolis, and Linda M. King (deceased). She was retired from Dukes Memorial Hospital as a dietician. She was a member of the First Baptist Church in Peru, and she enjoyed her church family and friends. She spent many years golfing with her husband and family. She spent her summer days enjoying her flower gardens, feeding the birds and wild critters, baking cookies for her grandchildren, sewing, crocheting, knitting, and reading. These were her favorite hobbies. Surviving are three sons, Danny, Jerry and Jim King. Also, grandchildren: Mike (Lisa) King, Kathy (Charles) Graves, Heather (Jason) Reat, Chad (Deniss) Ewer, Jami (Don) Day, Staci (Troy) Love, Travis King, Jimmy King (Shannon McDonald), and Kyla (Chris) Ryan. Also, great-grandchildren: Jana (Robert) Founce, Michael King, Cory Masten, Jordan Masten, Dennis Ewer, Audrey Ewer, Danielle Hartleroad, Dayne Hartleroad, Aiden Love, Jack Ryan, Frank Ryan, Taylor Graves and Hana Nyah Day. Also great-great-grandchildren: Jayden King, Kingston Founce, and DJ Hartleroad. She was preceded in death by her parents; her husband Karl (Ernie); sons Karl and Ron King; siblings Leroy (Bud) Wise, Phillip Wise; and grandsons Jason and Jereme King. Visitation will be held from 4pm – 7pm on Monday, March 25, 2019 at Flowers-Leedy Funeral Home, 105 West Third Street, Peru, Indiana. Funeral service will be held at 1pm on Tuesday, March 26, 2019 at the First Baptist Church in Peru, with Pastor Bob Adelsperger officiating. Graveside service will follow at Mount Hope Cemetery in Peru. In lieu of flowers, memorial donations may be made to the First Baptist Church.